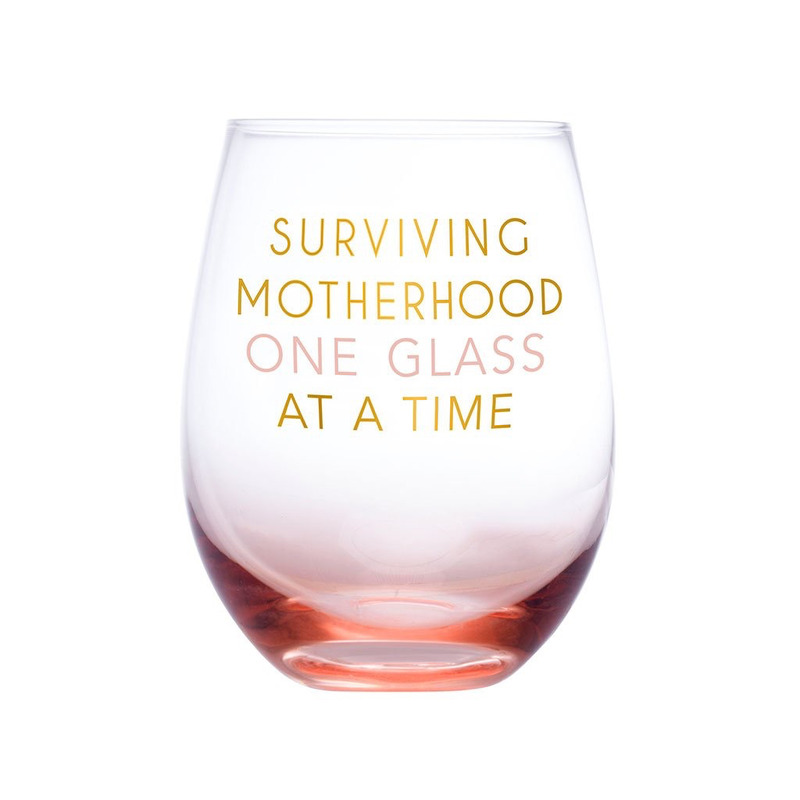 Surviving motherhood one glass of wine at a time! This adorable, giftable wine glass comes in the perfect gift box packaging. It’s great to gift to your friend, sister, co-worker, or whoever you know who just had a baby! 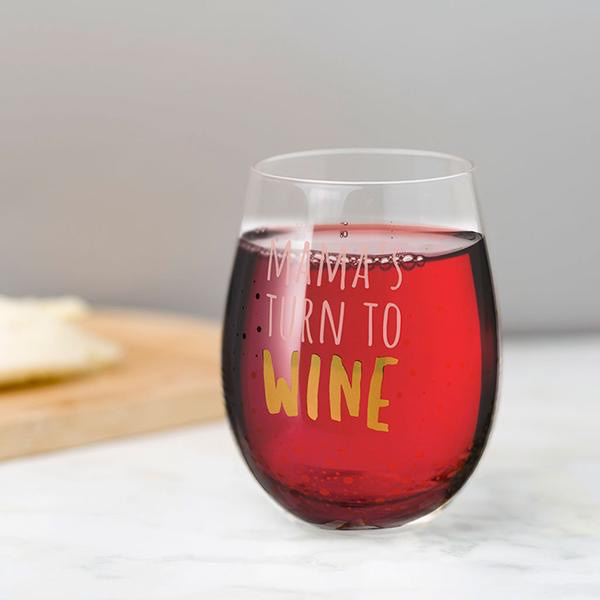 They will love the adorable wine glass and love the sentiment behind it. 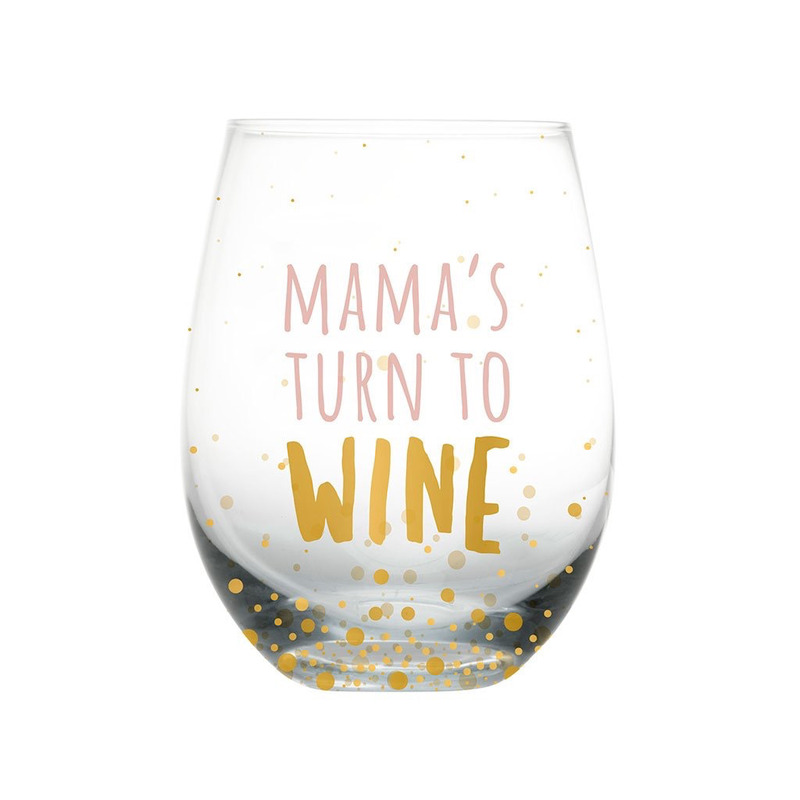 This stemless wine glass will fit a total of 16 fluid ounces so, it makes the perfect pour after a long but fun day with baby! Great for red or white wine!